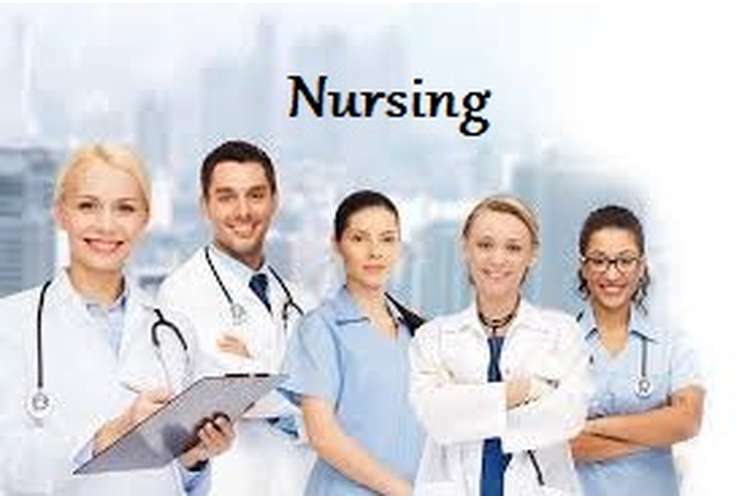 In this NURS11159 nursing assignment solution emphasis would be on one the contemporary topics of nursing sciences known as community nursing. Community nursing can be easily explained as that field of nursing sciences when a nursing professional communicate with an entire community and work towards better meant of community health and resolution of complex health care problems faced by them. In Australia there are a few communities and social groups with a higher prevalence level of particular diseases and disorders. In such communities role of nursing professionals became more critical and they work in close coordination with community leaders to increase health awareness and healthy behavior of people. In this assignments approaches used by community nurses, their roles and duties and challenges faced by them will be discussed in brief. Community nursing is a specialty branch of nursing profession and its importance in current context is very high (Chiarella, 2002). Australian population is broadly classified into three categories namely non indigenous population, indigenous and aboriginal population and immigrant population. Out of these groups indigenous population is the native population of Australia which majorly resides in states of NSW, Queensland and Torres Strait island area. This population is conventionally known to be a introvert and excluded population who prefer to remain social only with in their community and they tend to reside in remote geographical and rural population. To take care of health care and health education needs of all communities government of Australia and Department of health and ageing works towards education of nurse in community nursing. Once these nurses are graduated and start working as a community nursing professional, and then their primary role is to maintain the statistics of a population or area which are working in and keep a close eye on the changing trends of diseases in a population. for example if a particular age group in a population is showing an increasing trend of cardiac disorder then community nurses will immediately start working towards intervention programs, assessing the causative reasons, removing them and start educating patient and family members about the potential side effects and areas where a patient can relapse. In case of Australian indigenous population role of community nurses become much more challenging than it already is because indigenous population of Australia have a higher susceptibility towards life style disorders like cardiac diseases, obesity, diabetes and they are chronically suffering from unhealthy behavior like alcohol and drug abuse, smoking, unhealthy eating habits etc. at the same time there are psychological barriers when they interact with anyone other than their community and there is a lesser level of trust involved. Because of these problems nursing professionals are not able to communicate very freely in this community and they are not even able to reach the community members easily. Most of the nursing professionals are still not aboriginal by community and a outsider from community is not trusted easily specially when it comes to their health or quality of life. To make the situation worst in indigenous population lack of employment opportunity, limited income sources and lack of education is also a common finding and this limits their ability to perceive a health behavior or follow it, because they have more pressing needs to attend. This is a vicious cycle which is to be broken by the health care professionals and provide them means to remain healthy and lead a healthier life (Purdie, Dugeon & Walker, 2010). Community nurses are graduated and trained in breaking the cultural and language barriers and deliver a quality health care services and education to entire community in a equitable manner. Community nurses first try to befriend the local community members and leaders and educate them about the issues faced by their community and how they can come out of these problems. Once leader of the community starts talking with community nurses, exchange ideas and inform them about their predicaments, thinking and decision making process then it becomes easier for a community nurse to reach the root cause of situation. Once root cause is understood then it can be pinpointed to the leaders and use them as a medium to communicate the same message to entire community. This way a reliable and credible community leader remains in between the communication and ensure that each concerned party takes notice of the message (Funnell, Koutoukidis & Lawrence, 2009). Second approach of community nurses is to understand the cultural norms and customs of a community and remain sensitive about the issues which are being respected in a community. This way nurses would be able to communicate in language, gestures and methodologies which are easily understood by the community members. Similarly if a community is facing a problem regarding its income level and job opportunity then health care education can be modified in a manner that association between good health and good income can be illustrated to the community. This can be done by community nurses easily (Reed, 2009). Government and department of health and ageing is also encouraging members of different communities to come forward and join community nursing by giving them scholarships, special tutoring and better paying jobs etc. ANMC is the statutory regulatory board of nursing profession in Australia and they are also working towards increasing the number of professionals and develop community nursing as an attractive career. International students are also offered visa relaxations and job opportunities if they are interested to work as a community nurse especially in rural or semi urban region of country. In conclusion it can be stated that community nursing is a very important and challenging career path for a professional nurse with reward equally high. 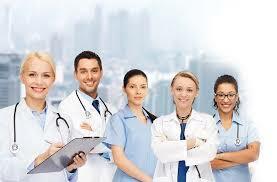 Currently community nursing is one of the most in demand profession because upcoming disease trends in developed countries like Australia are more of life style related or diseases which are a problem for entire community like substance abuse, cardiac disorders, obesity, mental disorders, hypertension, diabetes etc. to tackle these issues a community level intervention and awareness increasing programs are needed and they can be easily administered using community nurses as a vital player in it. Purdie, N., Dugeon, P., & Walker, R. (2010) Working together: Aboriginal and Torres Straiot Islander mental health and wellbing principles and practice. Canberra: Commonwelath Government of Australia.